Is your washing machine making loud sounds? Is your oven not heating properly? Is your dryer not drying your clothes? If any of these apply to you then call (678) 430-3819 today. Here at Appliance Doctor Alpharetta we repair all of your appliances with the best service. 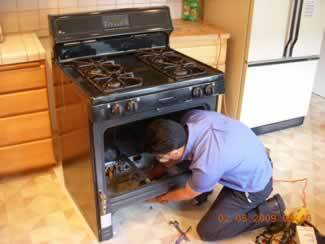 We are highly experienced and only serve you with the best quality of appliance repair. We will schedule our appointment times around your schedule and will even come on weekends without any extra charge. It is our goal to make you happy and satisfied. 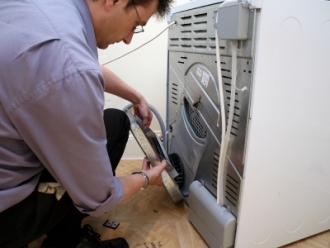 We can guarantee that you will be satisfied with our appliance repair work. Our factory trained and certified technicians will restore your appliance back to it original state. We can fix your washer, dryer, dishwasher, fridge, air conditioner, stove, oven and more! 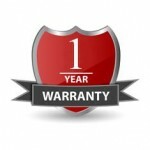 We also a 1 year warranty on all repair services. A: This may be result from a drain hose that is not working properly. We can help you. A: This sounds like this may be coming from a bad ignitor. You should never try and fix this on you own, call us today. A: This is probably a result from a broken thermostat. A: This may be from improper air flow. Your thermostat may have also broken. A: Your air conditioner may be low on refrigerant. This may be result from other problems too. A: Your oven most likely needs a new bake ignitor. We can most definitely help you out. A: This may be a result from a inlet valve that is not working properly. 11 satisfied customers in Alpharetta, GA and surrounding areas! I had a wonderful experience with you guys! I wanted to take a moment to thank you for saving my GE refrigerator this Sunday. You can count on me to call you, for any other appliance repair I need in my house. Set up a Repair Online! A full service appliance and air conditioning repair company. Same day appointments. Our service charge is always free when you complete the repair.